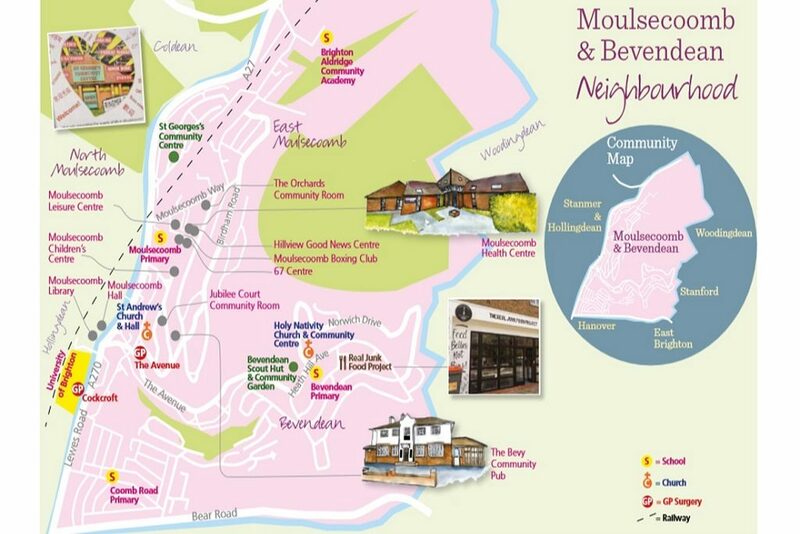 Moulsecoomb & Bevendean launched its Neighbourhood Action Plan on 8th August with community members from across the ward joining councillors and services to hear about their local priorities. This launch meeting looked at the first theme with guests from Brighton & Hove City Council (BHCC) Planning explaining the proposed increased regulation on Houses of Multiple Occupancy and from BHCC regulatory services to introduce the new Field Officer role. TDC would like to thank everyone not only for their valuable contributions to this meeting, but also to the plan itself which will continue to be as meaningful as the participation in it from the community and services. The next meeting will be in November and will feed back on progress across the NAP whilst focusing on a different theme. The full document will soon be available on the BHCC website, but in the meantime you can download a copy here.